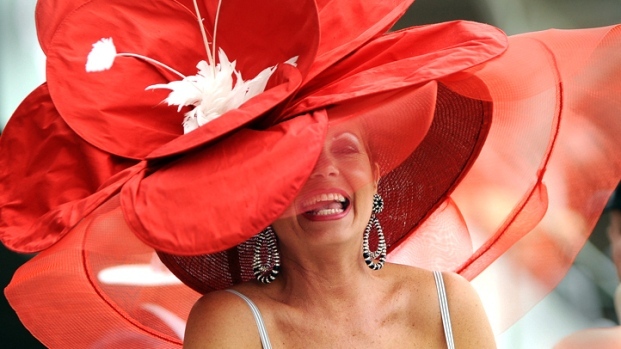 In between Cinco de Mayo parties and the Super Moon this Saturday, will come two minutes when a great many folks will pause, pay attention and cheer: The 138th Kentucky Derby. So don your best hat, make a bet and grab a mint julep (your Cinco de Mayo maragarita will wait) -- here's what you need to know. Who's hot: Bodemeister, trained by three-time Derby winner Bob Baffert, is the current favorite to win with 4-1 odds (which will keep shifting up to race time). The horse is named after Baffert’s 7-year-old son Bode; jockey Mike Smith will ride. Union Rags is currently ranked second odds-on favorite at 9-2 in the field of 20 horses. KentuckyDerby.com has a great feature allowing you to click individual jockey silks and pull up profiles of their horses if you want see whom else you can bet on. Other celebrity draws: Mary J. Blige is scheduled to sing the National Anthem (around 5:10 p.m.), and Eli Manning, who is hosting "Saturday Night Live," is slated to do an interview with Bob Costas sometime during the coverage. The big picture: The race, staged at Churchill Downs in Louisville, Ky., caps a two-week-long festival of events including the Kentucky Oaks race, Thunder Over Louisville (the largest fireworks display in the U.S.), Great Steamboat Race and the Pegasus Parade (the festival’s oldest and founding event featuring floats, marching bands and equestrians – the 2012 Grand Marshall was Cyndi Lauper). Some trivia to share at your party: The Derby is open to 3-year-old thoroughbred horses and run over a one-and-a-quarter mile track. The purse for the Derby is $2.2 million, with $1.5 million going to the winner. 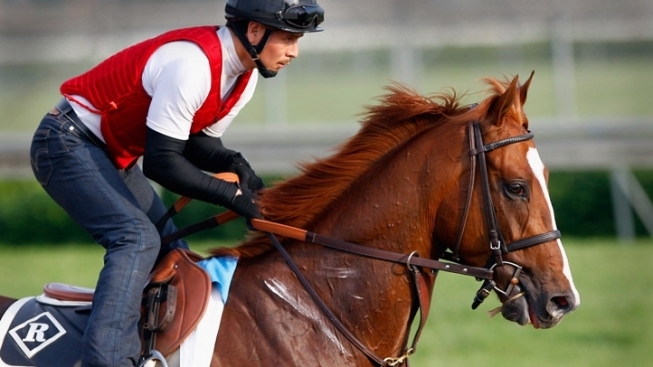 For jockeys, the Kentucky Derby limits their weight (including equipment) to a maximum of 126 lb. In contrast, the average racehorse weighs around 1,200 lb. The Infield – Often compared to Bourbon Street during New Orleans’ Mardi Gras, the Infield has a no-holds-barred party atmosphere. Up to 80,000 revelers pack the area to mingle, drink and listen to live performances. Attire is casual and entry is offered at general admission prices. For all the raucous behavior, it should be noted that spectators in the Infield have a limited view of the race. Millionaires Row – These expensive box seats located on the fourth and sixth floors of the spectator stand host the rich and famous each year (Queen Elizabeth II attended the Derby in 2007). Seating is available in groups of 2, 4, 6 or 8 per table and the venues offer excellent vantage points to watch the race along with the chance to rub shoulders with attending celebrities. About those hats: Wearing a hat is believed to bring good luck. In the past, the tradition of donning fashionable headgear belonged to the female attendees, but today men have also taken to topping off their outfits with a matching hat. In the Infield, hats fall more into the zany and outrageous categories, while classic and elegant styles are the norm up in Millionaires Row. Traditionally women opt for wide-brimmed, “Southern Belle” versions, many of which are decorated with feathers, flowers and bows. 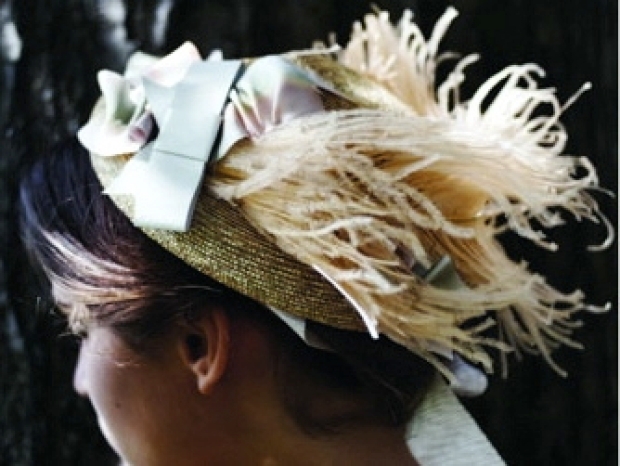 Look for Kate Middleton's influence in the form of "fascinators," small delicate hats or headpieces often adorned with feathers. What the jockeys are wearing: The wearing of silk jerseys by jockeys originated in 18th century England as a way of distinguishing which horse belonged to which owner during races. Today, silks can be multi-colored or patterned, and are matched to the horses headgear or mask. One more tradition: When the horses are led onto the track for the Derby post parade, the band strikes up “My Old Kentucky Home” by Stephen Foster, with attendees breaking into accompanying song. OK, this part gets its own full section. The mint julep has been associated with the Kentucky Derby since 1938, when Churchill Downs began promoting the drink. The alcoholic beverage is thought to have originated in the Southern United States in the 18th century and each year around 120,000 are served over the two-day period of the Kentucky Oaks and Kentucky Derby. Derby tradition has the beverage served in a silver or pewter cup, but the majority of juleps available at the race today are dispensed in a tall old-fashioned or highball glasses. The cocktail is a staple at Churchill Downs year round and is usually concocted with the following ingredients: 3 oz. ounces Bourbon whiskey, 4 to 6 sprigs of fresh mint, simple sugar syrup to taste. Mix and pour over crushed ice. Garnish with a sprig of fresh mint. Variations include the use of granulated sugar instead of simple syrup. The granulated sugar is muddled with the mint and a small amount of Bourbon before being strained and then mixed with crushed ice and the remaining Bourbon. For more party recipes, head to our sister site Daily Candy.